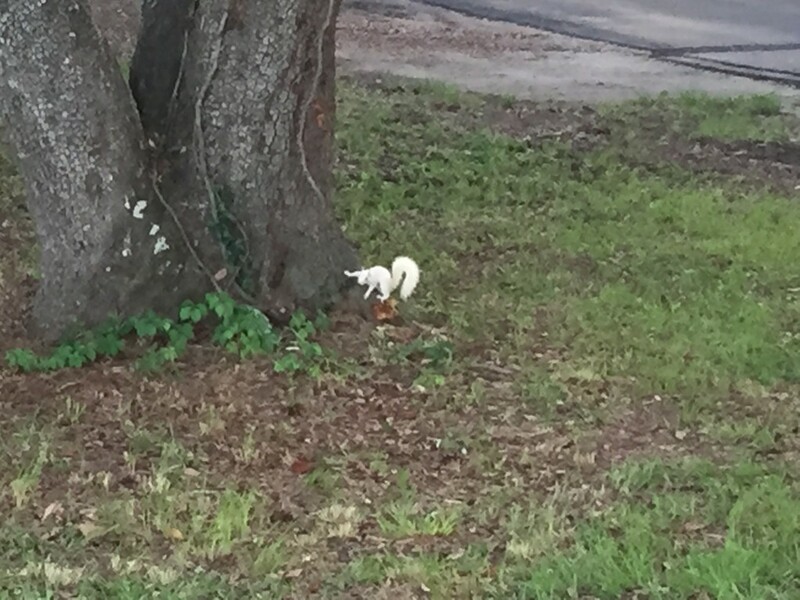 Sometimes the unexpected happens, tonight when walking back from dinner… it was this albino squirrel. Now I’m not sure how often you’ve seen an albino squirrel, but I’ve never seen an albino squirrel and didn’t know that albino squirrels even existed. So it was really a surprise to me when this albino squirrel darted across the lawn as I walked back from dinner. Apparently an albino squirrel is not as big a deal in the southeast portion of the United States [New York Times]. What unexpected surprise have you experienced?